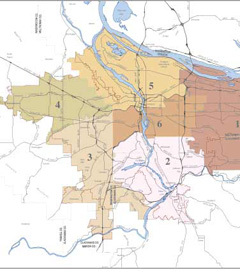 2011 marks the year for redistricting – the once-in-a-decade process to draw boundaries that determine your elected officials from local school boards and city councils to state and congressional representatives. As all 50 states begin drawing lines, battles will ensue among political parties and other interest groups. On this edition, we examine the U.S. redistricting system and some of its pitfalls. What is gerrymandering and how does it affect us? How does the rise in prison population change power dynamics? What does the rise in Latino population mean for redistricting? And how can the redistricting process be fairer? Barack Obama, U.S. president; Bernie Grofman, UC Irvine political science professor; Justin Levitt, New York University’s Brennan Center for Justicecounsel; Ed Rollins, former RNC chairman; Susan Lerner, Common Cause New York; Nancy Cordes, CBS News; Christina Hartman, Newsy.org; Alex Kellogg, NPR; EJ Dionne, NPR; Peter Wagner, Prison Policy Institute executive director; Neil Breslin, New York state senator; Mark Hugo Lopez, Pew Hispanic Center associate director; Nina Perales, Mexican American Legal Defense and Education Fund litigation director; Lydia Camarillo, Southwest Voters Registration Education Project vice president.